Finally, Europeans get to try out this fun DSiWare release. Hopefully the exciting news about upcoming Virtual Console releases for Europe will be enough to satisfy retro fans for now, while this week there's two WiiWare and three DSiWare titles to quench your thirst. Gods vs. Humans (1500pts, Zallag) – We've been looking forward to this comical strategic combat title, which will hopefully set publisher Zallag apart from a certain prior release of which we weren't so fond. Look for a review from our resident deitologist soon. Learning with the PooYoos - Episode 3 (500pts, Lexis Numerique) – We've enjoyed the previous releases in this series of edutainment games for younger learners. Read our reviews of Learning with the PooYoos - Episode 1 and Learning with the PooYoos - Episode 2 to help you make your decision until we get our review of this most recent entry to you, in short order as always. 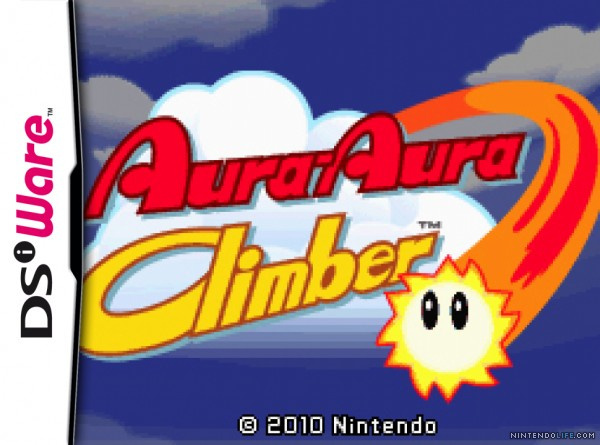 Aura-Aura Climber (200pts, Nintendo) – We were quite fond of this budget title when it came to the U.S. over seven months ago, as you can read in our Aura-Aura Climber review. Petz Dog Superstar (800pts, Ubisoft) – As you might expect of an entry in this series, we thought it was pretty rough, albeit a tiny bit better than its hamster and kitten brethren. Read why we thought so in our Petz Dog Superstar review. Petz Cat Superstar (800pts, Ubisoft) – Rejoice, Europe, for you get to play a Petz title before your American counterparts. We'll have a review soon to tell you if it continues the upward trend of the above canine-based game or if it puts the Petz series back in the litter-box. Why should we feel despair during the VC's break week? We know we get VC games once every two weeks. We got one last week and we'll get one next week. Its been like that for a while now. When we don't get a game when we should get a game, thats when we should despair. @Bass X0 Thanks for the comment; we've edited the text to less ambiguously reflect this. 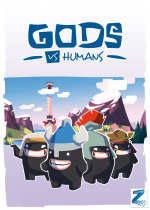 Definitely need some reviews and impressions for Gods vs. Humans. Oh, nooooooooo !!! No VC games for us !! I'm crying as my Manaphy avatar !! YAY! AAC! I've already downloaded it. I would buy it for 500 - it is such a brilliant purchase. I've only lived in New Zealand for 1 month now, but I downloaded Aura Aura Climber 7 months ago while I lived in the US, so I've had the game before anyone else has here! It's sad that Aura Aura Climber is being recieved so much later, but now that it's here everyone in Europe must buy it. Best 200 point game by far. Gods vs. Humans and Aura-Aura Climber. Looking good EU! Are you guys just now getting Aura Aura Climber? Buy it! It's easily one of the best 200 point titles on the service! Good to see that aura-aura climber has finally arrived, I'll be picking that up st some point. Congrats Europe on finally getting Aura Aura. Anyone with a DSi should go to get htis one right away. It it by far one of the best 200 point games. Hooray, Aura-Aura! Apart from that, usual shovelware and a couple of decent games targeted at very specific audiences. Y'know, I never did get this previously, and when I re-read the review, this really seems like the kinda game I need to play in my DSi right now. Might just pick it up. I just want arcade Super Hang-On, I dont bother with any 50Hz VC stuff and a lot of these Capcom Games are already available on compilation discs. 1500 points for Gods vs. Humans? No thanks. I hope it drops to 1000 points when it reaches the US. Anyone else get reminded of Pocket God for the iphone when they saw the title? I was almost hopefull but i already knew it was something else. Gods vs. Humans needs a review for me. 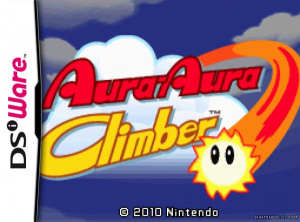 everyone in Europe with a dsi NEEDS to buy Aura Aura Climber right now. I guarantee its the best 200 points you've ever spent. AAC is a great game, and I am glad Europe is getting it.